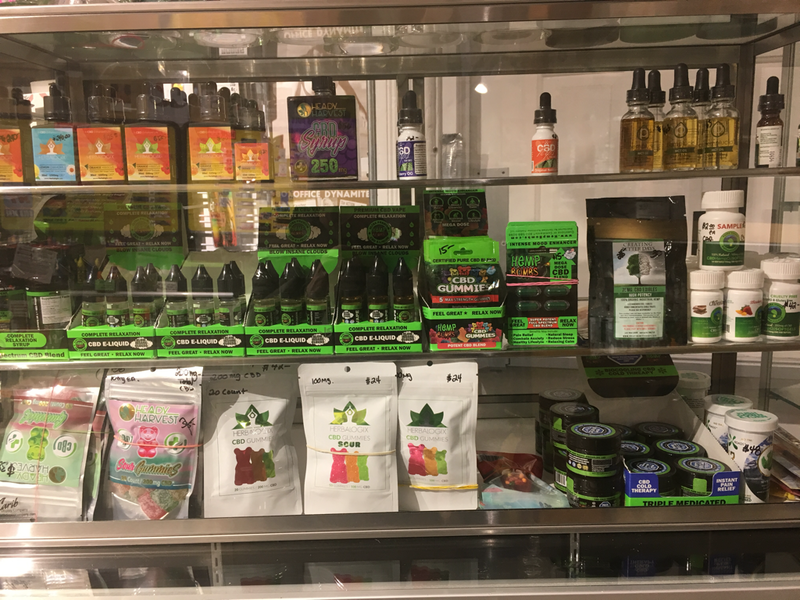 We carry numerous types of CBD products, from gummies to vape oil. Ask one of our sales associates to help you when you visit it. ​Sale in store, with ID - 21+ only. ​CBD is a shortened form for cannabidiol, a normally happening substance found in the modern hemp plant. There have been many investigations that propose CBD can be useful for some infirmities and illnesses. CBD is one of more than 200 cannabionids found in the modern hemp plant profile. CBD is entirely created in our bodies in the endocannabinoid framework or ECS. Our ECS is furnished with CB1 and CB2 receptors that are focused to control many parts of our body and it's capacities.